Making its public debut with the release of the HTC Dream/G1, Google’s Android mobile operating system has provided the search giant with a massively successful mobile ecosystem that, whilst doesn’t directly generate revenues through licensing, it provides smartphone manufacturers with a free, powerful and customisable software platform – generating millions of dollars in sales – and also helps possibly the world’s biggest advertising company dominate another advertising vertical. It took just two two years for Android to become the world’s most popular smartphone platform, eclipsing Nokia’s Symbian operating system as Apple, HTC and Samsung began to make significant inroads into Nokia’s market share, a time when it was powering nearly 60% of all smartphones sold. In the US, Android holds a 41.8% share of the market, followed by Apple’s iOS platform with 27%, highlighting the dominance and significant recent growth of both platforms. However, the significance of Apple’s share should not be underestimated, as the company has been be able to build its market presence with just one device – the iPhone – which is iterated once a year to a newer, more powerful model. Google, on the other hand, relies on support from mobile vendors which have committed to the Android ecosystem to help build their smartphone portfolios. Samsung’s Galaxy S line of smartphones, numerous flagship devices from HTC and Motorola’s Droid range (in the US) have assisted Google’s attempts to popularise its Android ecosystem, a varying range of Google-powered handsets that fuse touchscreen technology with powerful applications and integrated services. With Android’s success, Google has faced its fair share of problems. Over the past year, Google has found itself embroiled in privacy issues, sued over its use of Oracle’s Java implementation, the Android platform implicated in patent infringement lawsuits targeted at companies that use its software to power its handsets, all whilst other companies begin to fork their own versions of the platform, further fragmenting the ecosystem. With 550,000 Android devices are activated every day, through a network of 39 manufacturers and 231 carriers, Google may well continue to build its presence in the smartphone and tablet market, but its dominance is far from certain. These are some of the issues Google faces in its struggle to remain the top smartphone platform provider. 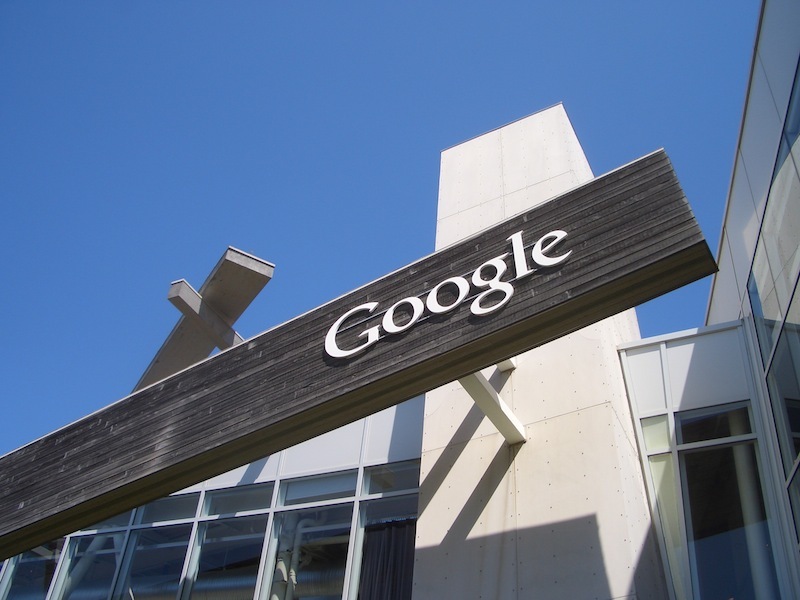 Whilst Google hasn’t been directly named in a patent infringement lawsuit by Apple, its operating system has formed the basis of many lawsuits served by its major technology rivals. Apple has accused both Samsung and HTC of utilising software (features found within Google’s Android platform) that infringe on patents associated with its iPhone and iPad devices and Microsoft pursuing legal action against Motorola, again for using the same software – both companies have sought sales and import bans on devices that are judged to be infringing on said patents. Apple has successfully won injunctions on sales of Samsung’s smartphones and tablets in Europe and Australia and has been able to ban the import of some HTC phones in the US. Android and other platforms are competing hard against each other, and that’s yielding cool new devices and amazing mobile apps for consumers. But Android’s success has yielded something else: a hostile, organised campaign against Android by Microsoft, Oracle, Apple and other companies, waged through bogus patents. Drummond continued to accuse its rivals of “banding together” to acquire Novell’s patent portfolio, a group that included Apple and Microsoft), and Nortel’s powerful set of wireless patents, which saw Apple, Microsoft and RIM form a consortium to outbid Google and purchase the portfolio for around $4.5 billion dollars. It has long been known that Microsoft has regarded Linux-based operating systems (such as Android) as infringing on its intellectual property. But it’s thought that the reason why Microsoft has pursued Android handset-makers rather than Google itself, is because it’s easier to do that than take on the might of Google. And also, it’s partly because it puts a price on a big rival platform that is otherwise free to use. Indeed, back in October, Steve Ballmer noted that “Android has a patent fee. It’s not like it’s free.” But up until now, it wasn’t clear how much that patent fee amounted to. The report also reveals that Microsoft is actively pursuing other Android handset makers and it’s believed they’re seeking up to $12.50 in some cases. Four smaller mobile companies have publicly announced they have begun to license Microsoft’s intellectual property also. Microsoft’s actions obviously frustrate Google; it’s Chief Legal Officer noted that in some cases, handset makers were paying more to license Android (a free platform), thanks to Microsoft’s patent claims, than they were for the company’s own OS – Windows Phone 7. Patents were meant to encourage innovation, but lately they are being used as a weapon to stop it. Compared to its rivals, Google’s mobile patent portfolio is small; Businessweek reports that Google has applied for or received a total of 307 mobile-related patents, compared with 3,134 for Research In Motion, 2,655 for Nokia, and 2,594 for Microsoft. Feeling heat from its rivals and being outbid in its attempts to secure more of a foothold in the patent race, Google did something that not even the most seasoned mobile industry expert would have been able to predict – it bought mobile vendor Motorola Mobility, formally entering the smartphone business, acquiring 17,000 patents that the company had registered. As it stands, Google’s position in the market has not changed as a result of actions in the courts by its rivals. The search giant has still not been formally involved in direct legal action – although it could should new devices born from the Motorola acquisition be judged to infringe on the intellectual property of overs – with its recent public and business actions assisting in asserting its position in the market amongst its rivals. However, wins by Apple or Microsoft in the courts could start limiting supply of Android devices, reducing consumer confidence in the platform. In such a competitive market, any potential blip could impact its growth and give its rivals an edge, something that Google will be preparing for behind the scenes, ready to deal with should the worst happen. During its first two years in existence, Android was quickly iterated to ensure it could maintain a feature-set worthy of competing with its Apple rival, iOS. Google worked quickly to release Android 1.5 (Cupcake) through to 2.3 (Gingerbread) – named after all sorts of delicious dessert offerings – including new features and new services. However, its quick update cycle and a reluctance from carriers to push updates meant that users were often left on older firmware releases despite the fact there was often one, or maybe more, updates available for that specific handset. Recognising this, Google – over the past 9-12 months – put a plan into action which would see fewer updates over a yearly period, only issuing new releases to fix bugs or add small features that would not disadvantage the user greatly should their mobile operator device to make them available. With Ice Cream Sundae, the rumoured name for the next version of Android, Google intends to amalgamate its codebase and release updates for smartphone, tablet and Google TV using the same platform, reducing development time but also making it easier for consumers and partners to deal with updates. What once used to be a major issue for Android has now been rectified but a new form of Android fragmentation is set to impact Google’s Android brand, and it can almost do nothing about it. Google created and maintains Android to be open-source, the codebase is available to other mobile companies and even you and me. Due to its open nature, Google makes certain assertions to ensure that vendors keep it close to Google’s own builds, providing them with official certification if they keep certain services built into the operating system, for example. However, a number of other companies which Google now considers competitors are beginning to create their own forks of the Android operating system, stripping it of everything that is Google-related to push their own products and services. Perhaps the most dangerous of these competitors is Amazon, the world’s biggest online retailer, a company that doesn’t just sell physical goods but is a leader in cloud-storage, runs its own application store and has a number of very competitive media deals with the major music and film studios. The interface is all Amazon and Kindle. It’s black, dark blue, and a bunch of orange. The main screen is a carousel that looks like Cover Flow in iTunes which displays all the content you have on the device. This includes books, apps, movies, etc. Below the main carousel is a dock to pin your favorite items in one easy-to-access place. When you turn the device horizontally, the dock disappears below the fold. Above the dock is the status bar (time, battery, etc) and this doubles as a notification tray. When apps have updates, or when new subscriptions are ready for you to view, they appear here. The top bar shows “YOUR NAME’s Kindle” and then the number of notifications you have in bright orange. It looks quite nice. Google’s Android Market is nowhere to be found. In fact, no Google app is anywhere to be found. 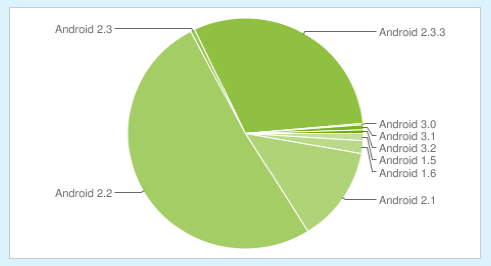 This is Android fully forked. My understanding is that the Kindle OS was built on top of some version of Android prior to 2.2. And Amazon will keep building on top of that of that over time. In other words, this won’t be getting “Honeycomb” or “Ice Cream Sandwich” — or if it does, users will never know it because that will only be the underpinnings of the OS. Any visual changes will be all Amazon. Given Amazon’s huge presence in many western markets, the retailer’s threat is a very credible one. With a reported 5 million tablets already waiting to be shipped (when it does launch), the company is betting big on its tablet, pricing it at an aggressive $250 to not only undercut its Android device-making rivals but also come in half the price of the market leading iPad. If consumers buy into Amazon’s Android experience, expectations of how the platform should appear and operate will be different between tablet owners, split between those with a dedicated Google Android OS build and those with Amazon’s. It is tempting to say “don’t worry, Android is Android, surely it doesn’t matter” – but if Amazon is seen to be pushing a better performing and better looking fork of the software, Google’s fragmentation issue becomes a problem once again. Amazon will use Android to flog Google. In China, Google’s major search rival Baidu has released its own Android-based smartphone operating system Baidu Yu (meaning “easy”), integrating its own search and applications to better provide services for Chinese consumers. Google will not “certify” Amazon’s or Baidu’s devices, but the companies will not care, they have millions of users between them that they will want to tempt to their own platforms, without the help of Google. The stripping of Google products and services from Android’s offering reduces the company’s ability to make money from advertising and value-added services on those devices, but it does drive Android usage overall, so it might not be all bad for the search giant. Perhaps the most obvious of Google’s threat to its Android dominance is the emergence of rival platforms. Apple’s iPhone is now the best selling smartphone worldwide and with reports that the company will introduce a new model in the coming weeks, as well as a cheaper ‘iPhone 4-like’ device aimed at the low to mid-range market, the company is set to boost its market share, possibly clawing it back from Google. Microsoft is set to launch its new Mango firmware update, adding over 100 new features to its Windows Phone smartphone lineup. HTC has already introduced two of its new Mango-enabled smartphones and with Nokia and more than five other vendors including Samsung ready to launch their own, the software giant is ready to spend millions of marketing dollars to further push the new, improved platform. 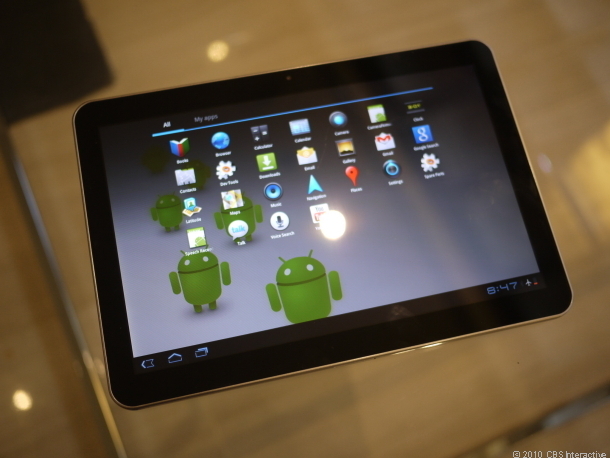 Google has its own updates coming but after the company announced its acquisition of Motorola Mobility, it is expected that other vendors will look to rival platforms should Google suddenly decide to assert more control over the Android ecosystem. As I noted above, Google could still profit from the fact that its rivals are utilising its smartphone and tablet platform, because usage of Android devices will still increase. If Android is still dominating the market, despite the fact Google services aren’t actually included on these devices, other manufacturers could be drawn to the platform for its proven track record. Google’s issues are beneficial to the company, they are coming as a result of its success in the mobile industry. The company needs to ensure it can adequately prepare for an onslaught from its rivals over software patents, making sure to capitalise on Android use, despite the fact the search giant doesn’t play a major hand in their release. A company of Google’s size isn’t only aware of these issues but it has also formed contingency plans should it face issues as a result of actions by its rivals. It’s whether Google chooses the right course of action, helping to build its platform further, instead of seeing partner devices stricken from the market as a result of its own software infringing patents.